Since having a baby 7 weeks ago, I've learned juggling a newborn and a toddler is a whole new world. I'm always looking for ways to make my life easier, especially when it comes to food and eating. I meal plan, have pre-made dinners in the freezer and use the slow-cooker when possible. And in addition to having leftovers readily available for a quick lunch in a pinch, I also like to have a variety of healthy snacks and treats to keep my big girl (and myself!) satisfied through the day. We tend to load up on fruit, raw veggies and yogurt, but I have admittedly developed a sweet tooth since being pregnant and have always loved a salty snack. 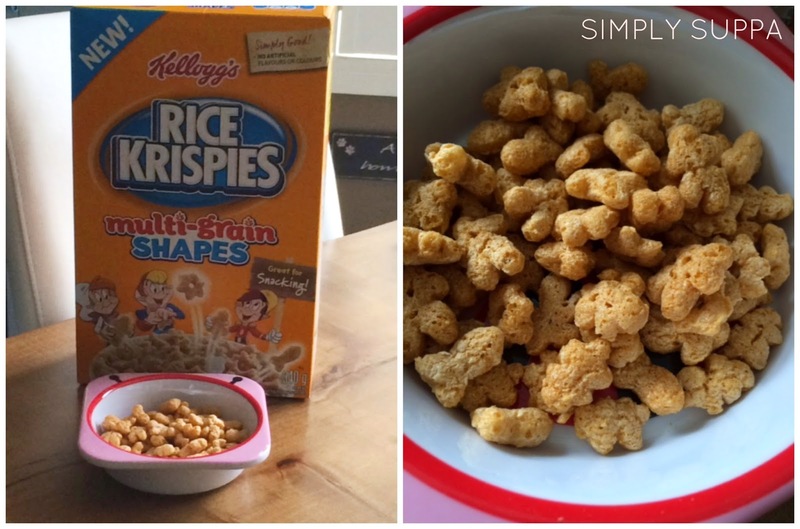 A few weeks ago, I tried Kellogg's new Rice Krispies Multi-Grain Shapes. The puffed cereal has no artificial colours or flavours and is a quick, easy and accessible snack. Oh yah, and it tastes good, too! It's no secret I don't even LIKE cereal -- that is, with milk. What can I say? I don't like mushy food; I do eat cereals with yogurt or dry all the time. My daughter, though, loves her cereal and kids will love to play with the four shapes in the box: stars, fish, trees and "me". Like I said, for me, the new Rice Krisipies is a great snack -- easy to serve and easy to stash. I like having a little container in the car for Isabelle, on the counter and even on the nightstand for a late-night crunch while breast-feeding. No one said being a mom was easy, and being a mom to two young kids is certainly anything but simple. Anything that keeps me going, with more energy and time to spend with my family, is a score. What are your favourite snacks for mom and toddlers?